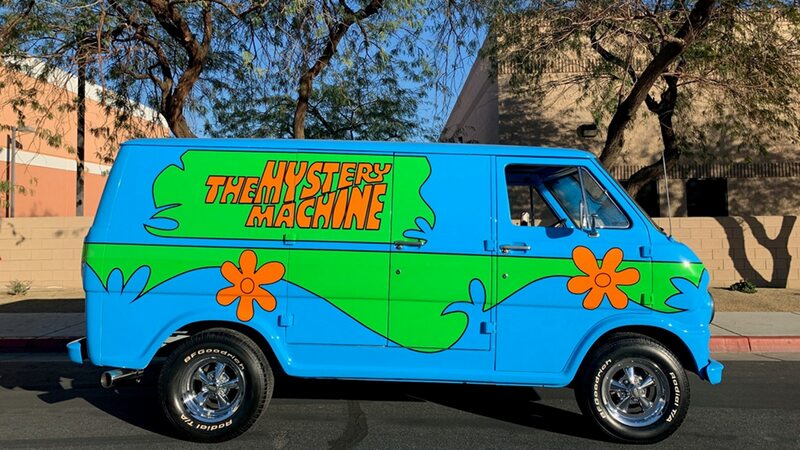 / Classic Cars / How Many Scooby Snacks Would You Give to Own the Mystery Machine? How Many Scooby Snacks Would You Give to Own the Mystery Machine? Zoinks! 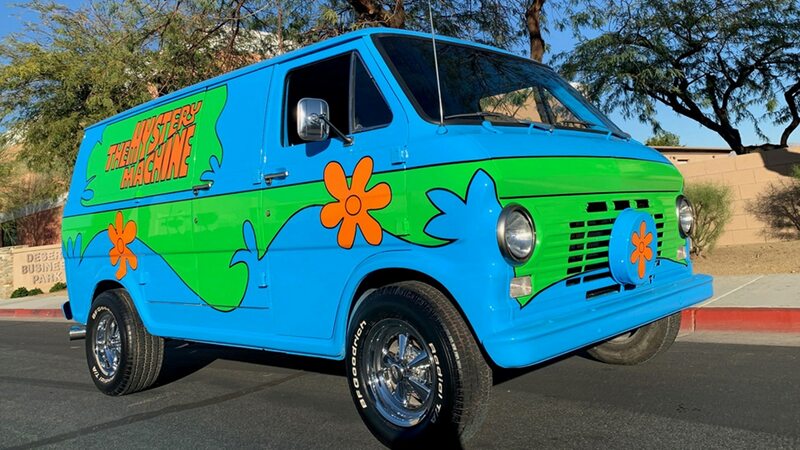 Scooby-Doo tribute van to be auctioned at 2019 Barrett-Jackson Scottsdale. For a certain generation, the wildly popular vanning culture of the 1970s meant freedom to go places while carrying plenty of friends and stuff with you. And as The Mystery Machine proved, a van could also be the ideal set of wheels for budding crime fighters. At the 2019 Barrett-Jackson Scottsdale auction, a 1968 Ford Econoline custom van will be sold to the highest bidder—but it’s not just any van. It’s a well-done tribute to The Mystery Machine as seen in the Scooby Doo series of cartoons and movies. 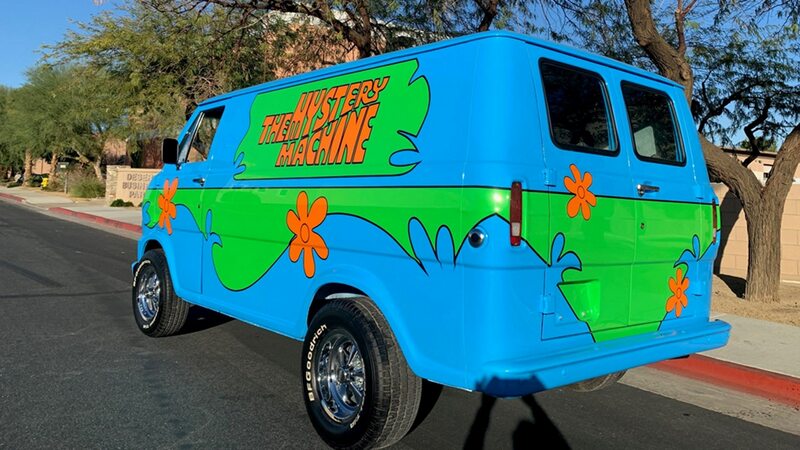 While the original Mystery Machine from the cartoon series was more of a synthesis of several different actual vans, the builder of this van chose a late-’60s Ford Econoline as the basis for this one-off. Painted in the classic blue, orange, and green paint scheme that will be instantly familiar to Scooby Doo fans, special touches such as the Torq-Thrust–style wheels and a miniature front-mounted spare tire help complete the package. Inside, the van is said to have a blue, orange, and green interior and a Ghost Finder instrument panel. Under the hood sits a 302-cubic-inch V-8 paired with a three-speed automatic transmission. 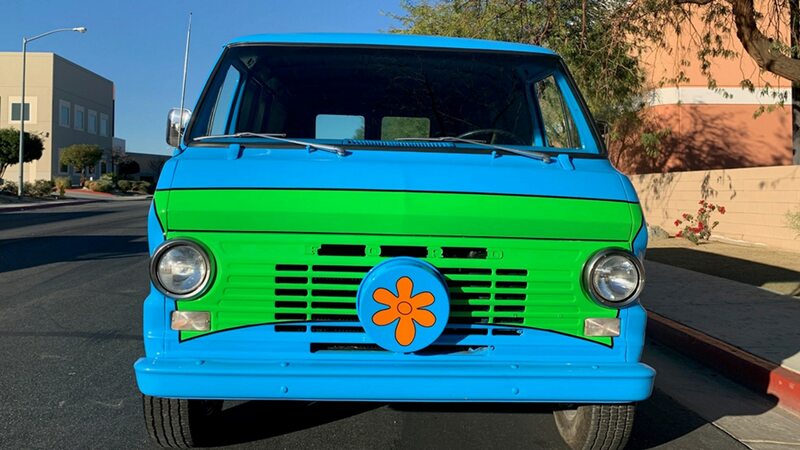 Classic vans are gaining in popularity as the years go by and this one’s Scooby Doo connection should ensure it attracts plenty of attention around town from even those who aren’t obsessed with vans or collector vehicles. Were we in a position to bid, we’d probably want a tutorial on how to operate that Ghost Finder so we’re not caught flat-footed when we get another mystery on our hands.